Architects at Manuel Ocaña Architecture and Thought Production Office were asked to design a rather unusual spatial concept, one that would ensure the survival of 20 families and thousands of books for three years after the 2012 Apocalypse. 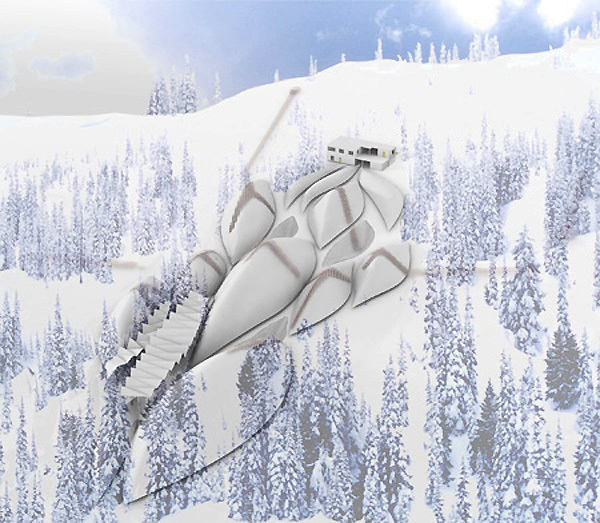 The design was commissioned and promoted by a Belgian foundation and would be located at a mountain slope in Sierra Nevada, Spain. 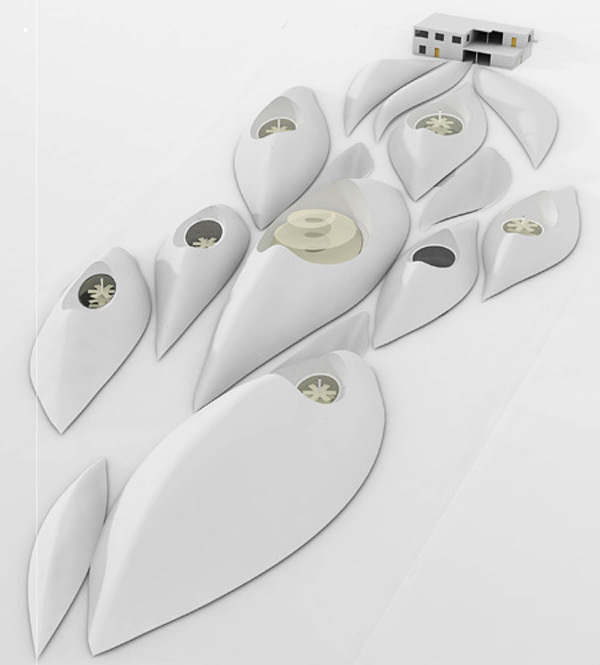 It is conceived as a “culture ark”, after a suddenly precipitated climate change with tsunamis, earthquakes, and a global chain of disasters, nuclear or otherwise. 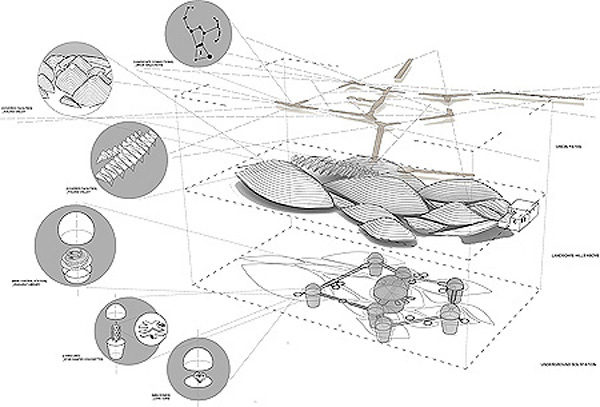 The initial idea for the project was to use a more organic approach of atomization and circulation strategies. 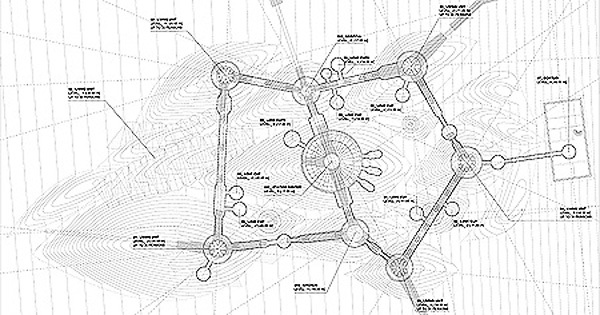 Several dome-shaped areas are interconnected and manifest the underground configuration of the system upon the landscape. In the light of ever-rising number of religious beliefs and, as the architects put it, “the “scientificisim” religious looking for immortality”, the project can also function as an Apocalyptic Resort. The proposed project encountered serious practical obstacles. Large engineering companies, currently selling thousands of bunkers around the world for the impending apocalypse, eliminated the firm from the project. According to the architects, the companies’ argument was:” This project is extremely serious and your proposal is expensive and unviable. Of course, promoters believe in military discipline in case of global apocalypse.” It seems that the weakened nuclear threat has slowed down their businesses, and climate change opens up a whole new market.